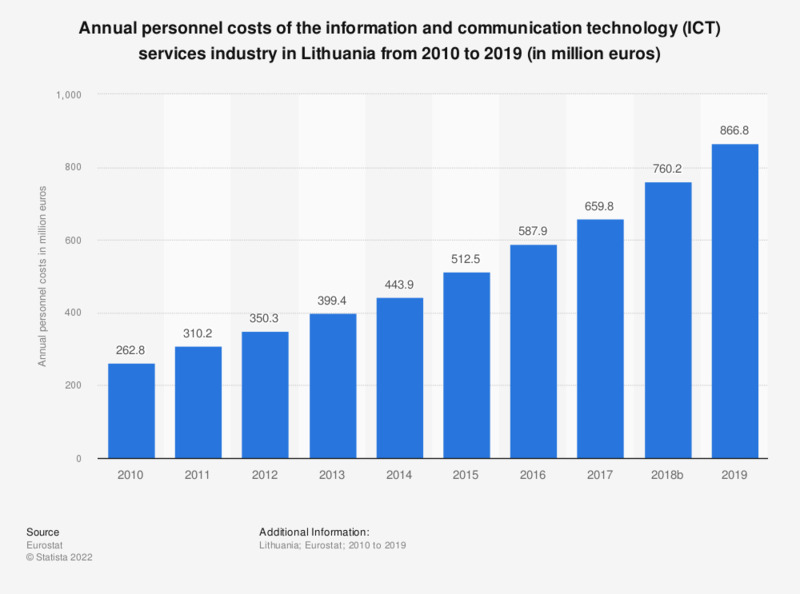 This statistic shows the annual personnel costs of the information and communication technology (ICT) services industry in Lithuania from 2008 to 2014. In 2014, the personnel costs in the ICT services industry amounted to 443.9 million euros. Data coverage corresponds to aggregate G-U_ICT of NACE Rev2. Statistics on "ICT industry in Germany"
Which are the most important IT trends of 2015?